I’m loving this ‘lived in’ liner look, it has an effortless relaxed vibe that can take you from day to night. I also love that since the liner is slightly smeared, it creates a less harsh line – plus those ‘little mistakes we all can make when trying to put on eye liner can be softened with this look. 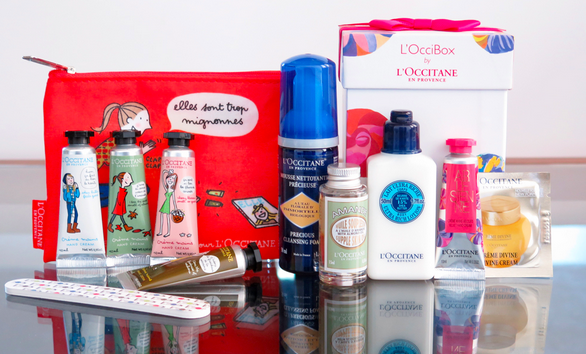 L’Occitane has introduced a new sampling program called L’Occibox, filled with new deluxe samples and they have just released this seasons one. he samples in this box are great and at only $15, it would make a perfect gift or stocking filling! There will be a new box each season and it will be a great way to trial new L’Occitane products without committing to a full size straight away. For this seasons box they worked in collaboration with Elle Magazine, who chose an illustrator to design packaging for the special hand creams, nail file and cosmetic pouch. 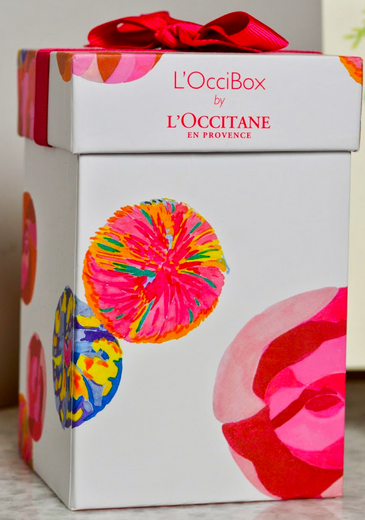 You better be quick though as stock is limited, just mention the word Discover to your sales associate at a L’Occitane store and they will get you a L’Occibox to purchase. My local Nordstrom store has a beauty event on this Saturday which I have been to in previous years and always find it’s a fun way to stock up on some beauty must haves while getting a few freebies along the way! 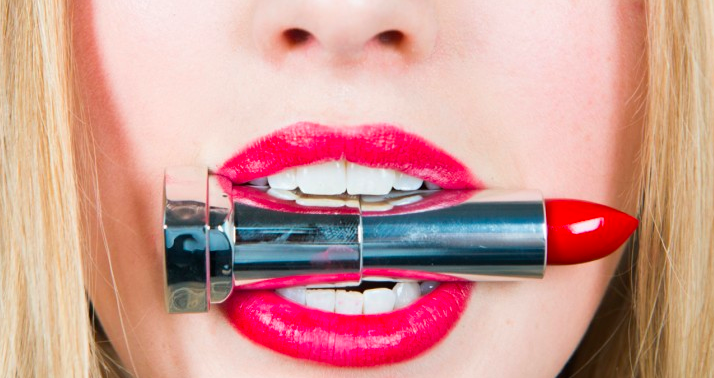 MAC Rebel lipstick – which is a plumy color that pretty much looks greta on everyone. I will probably blot the color to create more of a stain look. 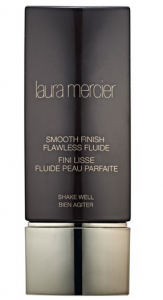 Laura mercier Smooth Finish Flawless Fluide – I pretty much love all of Laura Mercier’s products and can’t wait to try this new foundation, as it has a natural looking color and lightweight coverage. 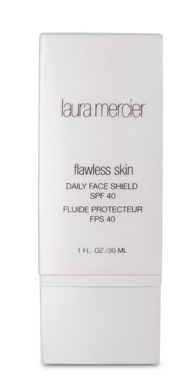 Laura Mercier Flawless Skin’ Daily Face Shield SPF 40 - This will definetly be on my buy list this Sat as I have run out and it is my favourite sunscreen for the face. 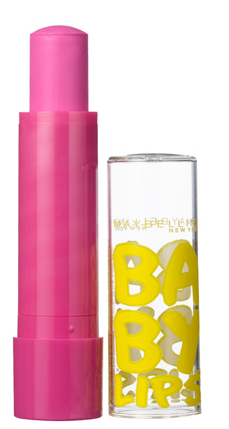 This has an SPF 40 yet gives a non greasy look, prefect to wear everyday! I have an undying love for a strong brow, so with that in mind, I’ve been trying to grow my own brows for a while now. 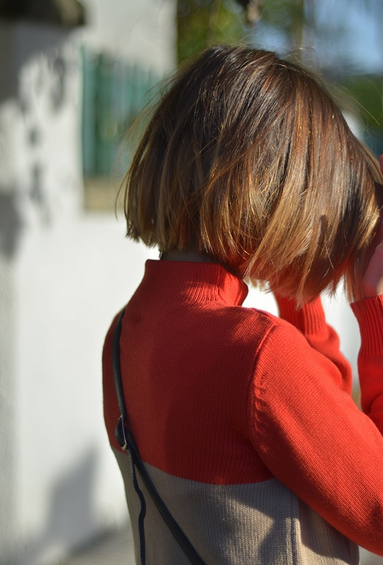 This isn’t easy, they either grow back at a slooow pace and when a new hair or two finally appears it’s often in an odd hard place and starts to make your brows look untidy. So I loved this little tutorial from The Beauty Department. 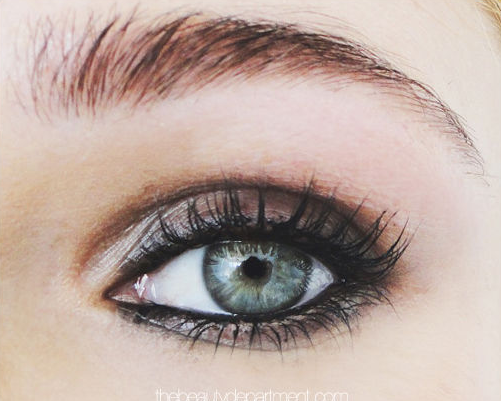 It shows you how to fill in your brows during a growing in phase, if you want a little more definition for your current brows and can be as strong or as subtle a change as you like. I have filled in my own brows many times before but I liked this tutorial as I still picked up a few tricks for the future. I’ve always loved Alexa Chung’s look, that 60′s, slightly disheveled look, that seems so effortless but I’m sure would take anyone else forever to actually achieve! One of my favorite beauty looks that I’ve wanted to copy from Alexa is her famous cats eye. She does it so well and it has the perfect amount of ‘wing’ so that it can be worn both day and night. I recently found this video from makeup artist Lisa Eldridge who posted photo’s of Alexa on her website and was asked how to recreate her look. Lisa then asked Alexa to appear on a tutorial and the resulting video is just what I was looking for in my ‘cats eye’ quest. 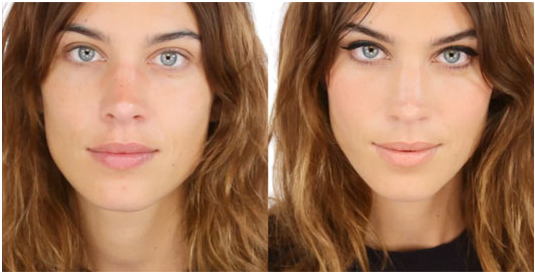 Alexa Chung Before & After – lets see how I go re creating this eye look! Wish me luck! I absolutely love Josie Maran Argan Oil! I use a few drops on my face as an added moisturiser, on my cuticles and hands and it never leaves me feeling like an oil slick, even in warmer weather. As the weather is warming up, I’ve ordered myself another tube of Laura Mercier Daily Face Shield. 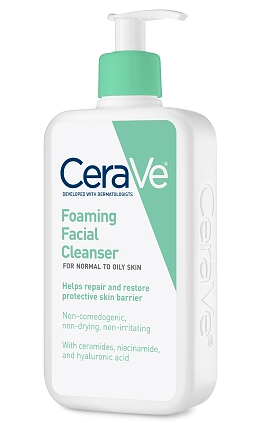 I love that it’s not thick and gloopy, how it doesn’t leave my face looking to shiny and has a hight SPF. I use this only on my face though, as it’s intended for, so it lasts quite a while too! 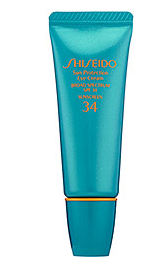 I also use this Shiseido Sun Protection Eye Cream – cause lets face it, I’m not getting any younger and I can use all the sun protection I can get! This is perfect for me as it’s one of the few sun screens I’ve found for the eye area, that doesn’t make me cry for half the day and has a high SPF as well! I finally found somewhere to get my hair cut! Yay, cause it’s only been over a year and a half since my last cut – I know, I know what took me so long! I’ve decided to go to Population Salon her in SF, as it’s received great reviews and hey I had to pull the trigger and pick somewhere before I ended up with hair like Rapunzel! So for this weeks Wishlist Wednesday I thought I’d highlight a couple of styles/colors that I’ve added to my inspiration board (see this post) for my appointment at the end of this week. Wish me luck! I’m kinda loving Taylor Tomasi Hill’s bob cut & fiery red color. 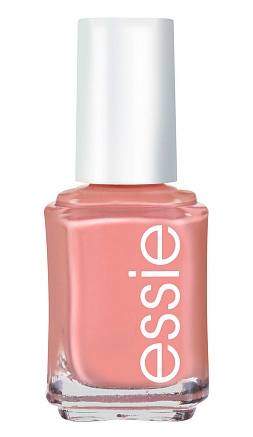 I’ve pretty much always had a red base to my color, but this would still be a big change! Decision decisions, lets hope I can finally narrow it down a bit more before I go! 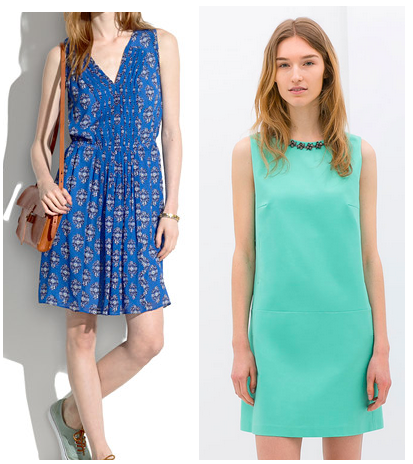 Spring is here and it’s only fitting that I share some of my current fav’s that can add some lightness and can help transition your wardrobe for the coming season! I still thank my Mum for buying that body brush all those years ago, which I conveniently ‘borrowed’ on one of my visits back home (my overdue fees are going to be huge!) 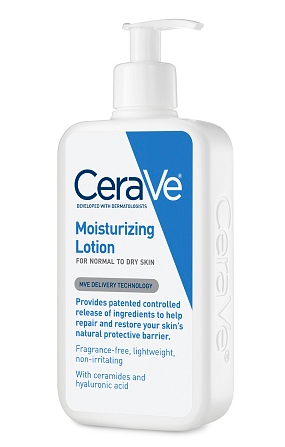 I use it every night before I have a bath or shower and it’s amazing how great your skin feels! Now this is no body brush that you use in the show, you have to do this before, on dry skin and it might feel kind of ‘harsh ‘ on the skin at first, if you’ve never done it before, but you’ll soon love it as it makes your skin feel more ‘alive’. Body brushing is great for getting rid of dead skin cells as well as improving circulation, lymphatic drainage and skin appearance. 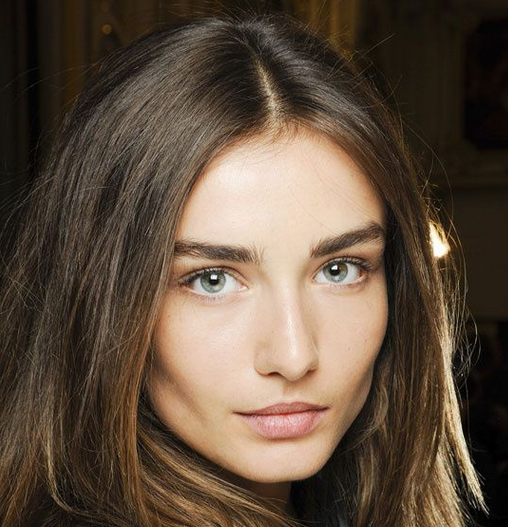 So it’s not only greta for improving how the skin looks but also our internal health as well! 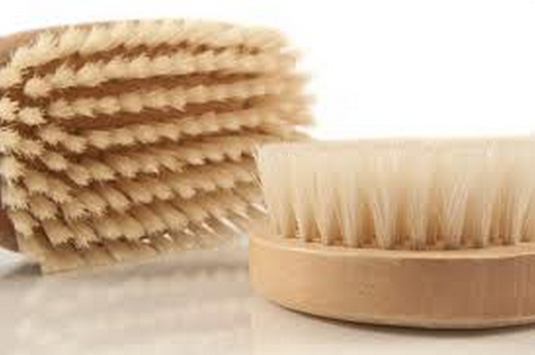 I realized about 6 months ago that there is a certain way that you should body brush to get the best results for lymphatic drainage etc and once you have it down pat your done in mere minutes. Here’s the video I watched a few times to understand the correct way to direct your brush strokes. Amazon & most pharmacies or drugstores sell dry brushes now. Make sure it has firm bristles and a decent enough handle and you should be set!